It looks like lately it's been time for an update for most retailers in the city. It seems as if with the surge of new names entering the market that tenants that have called Duluth home for many years now are taking the time to spruce things up. Duluth welcomed one of Taco Bell's very first locations of its new prototype last year. Taco Bell completed an extensive remodel at its 1031 W. Central Entrance location, a location that had been open for almost 20 years with no update whatsoever occuring. Patrons will be pleased with the new location, a remodel that had been in the works since the early 2000's. Sporting a very modern look, complete with glowing LED panels covering the facade, no more is there the bright orange southwestern look of Taco Bell's past, rather a clearly modern image has been introduced to give the chain new life. Another fast chain is almost done with the renovation of two of their Duluth locations. Burger King has taken on investing over a million dollars into it's location in order to update them to the current Burger King prototype. The new interiors take a modern approach featuring modern faux leather seating, stylish light fixtures, and various uses of sleek tile as accents. The locations are also one of the first fast food retailers in the area to use digital menus (TV screens). Gone is the brick, the bright blue accent colors, and the sloped roofs, now the exteriors feature stone, stucco, and warm neutral tones with red becoming the new accent color. The locations on Central Entrance and also out on 21st Avenue West were both remodeled as part of an extensive rebranding of Burger King's image in Duluth. You have to remember that McDonalds in the past three years invested significantly in remodeling their Duluth area locations, including the rebuild of two locations, so it shouldn't come as a surprise that Burger King is upping their anti. Burger King has invested $1.5 million in the renovation of the two locations in Duluth, and will invest $1 million more in the rebuilding of the London Road location. That location will be smaller than the current location on site at roughly 3,700 square feet. The move is taking place so that a retail strip center can be constructed on site which will house four new tenants to the area. 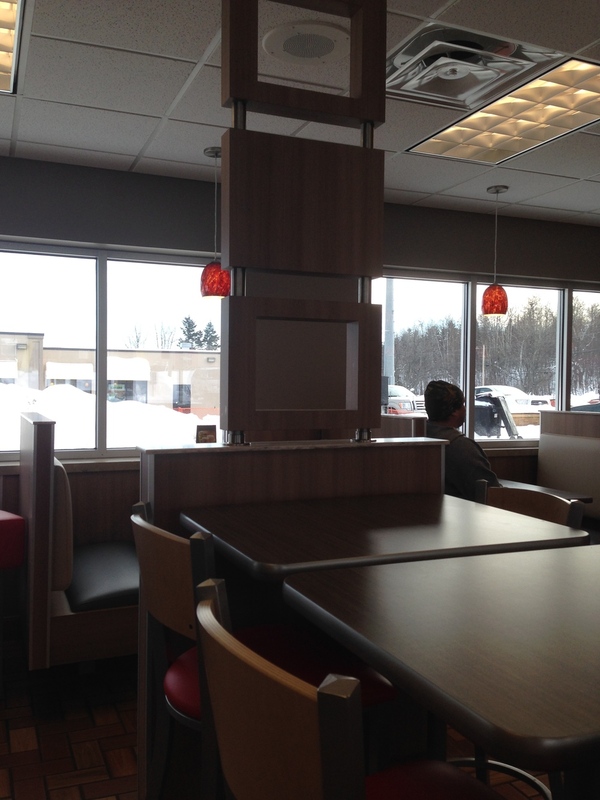 The new Burger King will be a little more embellished than the two remodels we are assuming in the fact that it will take on the full Burger King prototype being displayed across various locations in Duluth. We posted a few months back on American Eagle Outfitter's remodel that will be occurring at the Miller Hill Mall. Now that the holiday season is over, the remodel is ready to begin. Look for work to begin this month with a completion date set for Late March / Early April 2014. Storefront at Killeen Mall in Texas, Duluth's will be loosely based off of this design.